Tourism Minister, Hon. Edmund Bartlett (right), is in light conversation with the General Manager of Half Moon Hotel in Rose Hall, Sandro Fabris and his wife, Doris, in the Jamaica Tourism Board (JTB) booth. The occasion was Saturday night’s (July 23) staging of Reggae Sumfest 2016 at the Catherine Hall Entertainment Centre in Montego Bay. Tourism Minister, Hon. Edmund Bartlett, says the Ministry is looking to establish Jamaica as a major destination for entertainment. 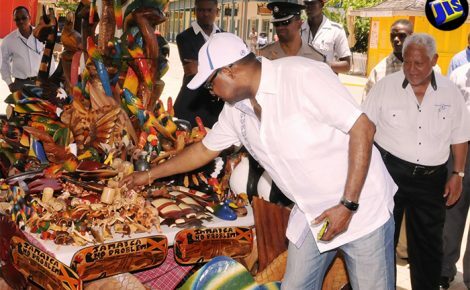 Minister Bartlett pointed out that destinations such as Cuba offer scheduled entertainment events. The festival, staged from July 17 to 23, was presented for the first time under the new management company, Down Sound Entertainment Company Limited and featured Jamaican reggae and dancehall acts. 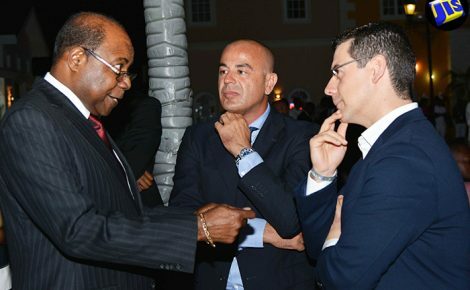 Speaking to JIS News during Reggae Sumfest’s ‘Reggae Night’ at the Catherine Hall Entertainment Centre in Montego Bay on Saturday (July 23), Minister Bartlett said the aim is to promote the island as the premier location for guaranteed quality entertainment year-round. He noted that visitors will be able to purchase a vacation to Jamaica two years in advance knowing that entertainment is guaranteed. “What we want to do is to establish the reggae music experience that will bring visitors from all over the world. Instead of looking at single events, we will be looking now on a product that we can package and… market and it offers some kind of certitude as to the quality and high standards and also it gives a timeline and… a venue,” he explained. 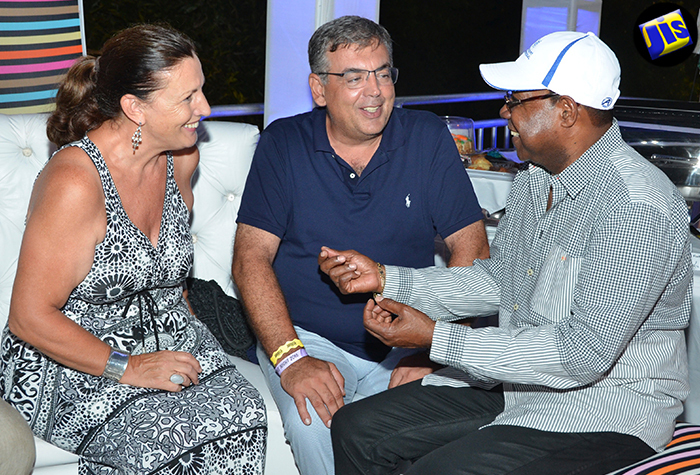 Minister Bartlett noted that the 24-year-old Reggae Sumfest has been instrumental in bringing visitors to Jamaica. He told JIS News that he will be meeting with industry stakeholders shortly in preparation for the festival’s silver anniversary in 2017. “We are going to be having a meeting with all the main providers of international offerings in music and to see how we can pull it all together to produce that product so that the 25th will be exciting and different and will hopefully bring more of the international Jamaican artistes,” he said. Prime Minister, the Most Hon. Andrew Holness; Minister of Culture, Gender, Entertainment and Sport, Hon. 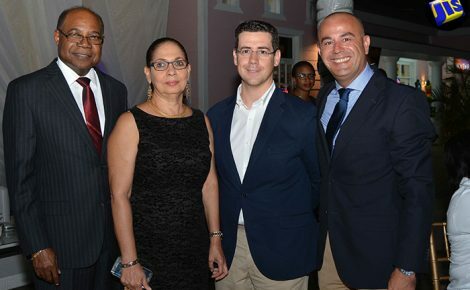 Olivia Grange; and Tourism Director, Paul Pennicook were among the thousands of patrons enjoying the line-up of stellar acts on Reggae Night. They included Luciano, Super Cat, Sanchez, Taurus Riley, and Christopher Martin.